With the warming weather, Carson Valley’s activity calendar is really ramping up! There are two iconic event series kicking off this month. Concerts in the Park debuts with “Paperback Writer” (the Beatles Experience) on May 27th, Friday, at Minden Park at 6:30. This event is wildly popular (picture lawn, food trucks, beer, picnics baskets, ice cream, dancing, and reveling under the beautiful Carson Valley skies while listening to awesome music for free). Pretty much what life is all about, if you ask me. Bring a blanket or lawn chair, and expect to get hit with nerf footballs, licked by dogs, interact with children, and get dragged into a ring of hula hoopers. There is no privacy or anonymity here. Another must-try event is the Thirsty Third Thursdays wine walk, which starts May 19th at 4:30. 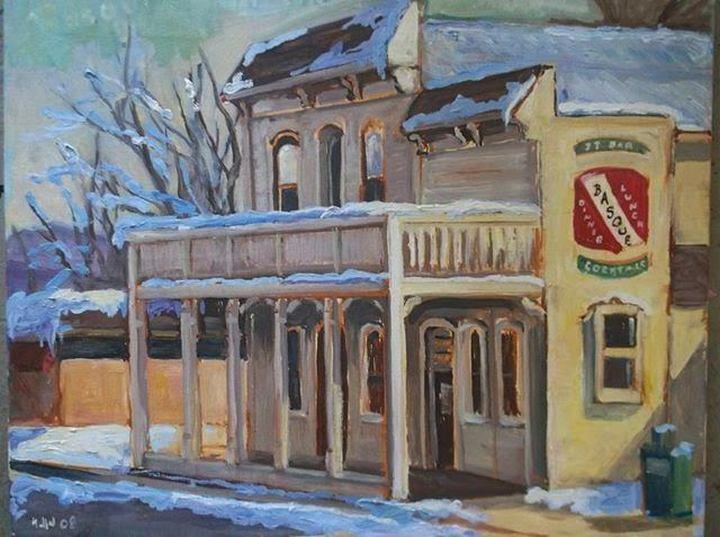 I realize many towns and cities have wine walks these days, but Carson Valley’s comes with free spectacular views and a very laid-back atmosphere. There are way more businesses participating than you could ever make it to in one evening, but if you plan your route wisely, you can end up at the J.T. Basque for a great meal and a picon to treat that wine headache. Got a Star Wars fan in the family? Check out this new event: May the Fourth Be With You, at Minden Park on, yes, May 4th, from 4-7 pm. This free event features costumes, light sabers, and of course … food. Finally, it’s time to put that gusty Nevada wind to use at the Something in the Wind kite festival at the Dangberg Home Ranch on May 14-15, from 9-6 both days. Again, this event is totally free and includes demos, crafts and free kites for the little ones. And if you’ve never been to the Dangberg Ranch, you are in for a treat! For those willing to endure a little rock scrambling, the views from Mineral Peak are spectacular! 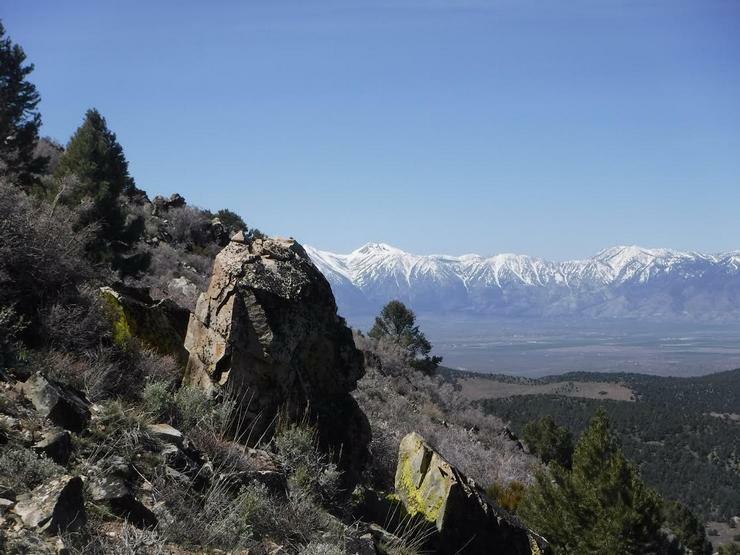 The verdant Carson Valley is nestled between the Sierra on the West (the Carson Range) and the Pine Nut Mountains on the East, providing for great hiking all year round. The Pine Nuts, where the Washoe tribe has been known to collect its staple winter food, is better for spring and fall hiking, owing to warmer temperatures and earlier snow-melt. Surprisingly, very few two-leggeds seem aware of this gem of a range, allowing for a “wilderness” experience right in our own backyard! Within 20 minutes of leaving Highway 395, we are completely alone, with the only reminders of civilization being the occasional far-off hum of an OHV or target shooter. An array of wildflowers is emerging, and the fauna includes coyotes, wild horses, deer, hawks, eagles, rabbits, and even cougar (we saw the tracks but thankfully not the critter itself!). There is one other dangerous element encountered on this trip though, which Erik and I did not previously consider. It’s that risk faced by every true desert rat when driving down a dirt road scattered with inviting peaks and rock formations and intriguing unmarked rambling roads: the irresistible urge to explore each and everyone of them.